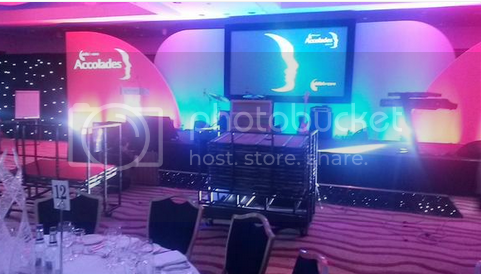 On Thursday 12th March Cohesion attended the Skills for Care National Conference and Accolades. Passionate about the progression of the sector, Cohesion exhibited at the conference, sponsored the accolades and presented the award for best recruitment initiative. The Skills for Care annual conference– what an experience and what a turn out! As exhibitors ourselves, we knew it was going to be a busy day and we were ready to get stuck in to what promised to be an exciting and insightful event. 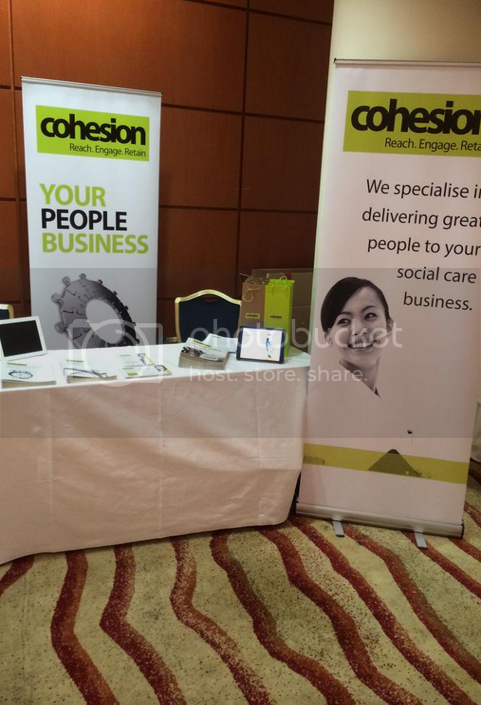 Having met with a number of social care organisations earlier in the year at Cohesion’s round table event, we were looking forward to meeting acquaintances- old and new, and learning more about the sector. The conference looked great and was packed with delegates- each one clearly passionate about Social Care. It was great to have the opportunity to exhibit at the event and showcase how we are supporting the growth and future success of the sector. As a business we are an active contributor to the industry and we love to share our knowledge of recruitment best practice! Cohesion is always promoting a better and fairer environment for workers and we understand the importance of celebrating the great achievements and successes of those in the industry- it was great to hear these thoughts echoed by an MP. We also heard from a panel asking the question “Is Social Care well-led?” a timely and interesting question when considering the future of the sector. This was an eye-opening and positive discussion- anyone in the sector is all too aware of the challenges ahead and it is appropriate to consider the benefits of a knowledgeable and well-led workforce. The workshops we attended were great and have inspired us to look into organising our own events in order to promote the progression of Social Care and share our thoughts with others in the sector. Our expertise lies in recruitment and retention and it was great to engage in conversation with like-minded individuals who are keen to put a greater focus on reaching, engaging and retaining the right people. In the final stages of the conference, many of us were asking the question- “with the general election around the corner, are the priorities within Social Care going to change?” This is something that seems to be on everyone’s mind- an interesting and poignant point for everyone to consider. As a proud sponsor of the Skills for Care accolades, this was an amazing experience and gave some great insight to the changes and challenges within Social Care. Cohesion is definitely ready to help the sector overcome its challenges, make a name for itself and celebrate its successes. Are you considering recruiting people for your business? Click here to see what Cohesion can do for you. What’s the Social Care story? Across the sector, turnover is high. A number of organisations will settle for low quality workers because they need to fill shifts, they will run the risk of not being compliant and that is causing poor quality. Employers appreciate toolkits and the information and support given to promote growth and change within their businesses, but many also argue that it’s not enough. Download our e-book on how to run the best social care recruitment campaign ever! “It’s ridiculous to talk about retention without talking about recruitment first. You have to consider elements of the recruitment process, whether that be workforce planning, incentives packages, or even the quality of your managers- these all have an impact on retention. Recruiting the right staff results in lower turnover, but you have to get the recruitment part right- engage with candidates and employees as often as possible. If you can hold on to employers through that initial process you tend to have them for quite a few years. What it often comes down to is that workers don’t necessarily leave the care sector of the work- they leave within the first six weeks because what they are doing wasn’t explained earlier. For more information on turnover and other issues faced by the sector, read our ebook on the Roundtable held at Aston Univeristy by clicking here or visit us at the Skills for Care national conference and accolades where we will be exhibiting and presenting the award for best recruitment initiative. Are you thinking about recruiting for your business? 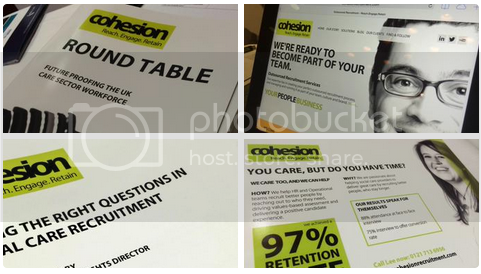 Click here to find out what Cohesion can do for you.